Was a Chinese national champion in Wushu at an age when most people are trying to master riding a bicycle. 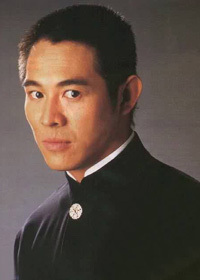 Turned down roles in The Matrix series as well as Crouching Tiger, Hidden Dragon. Traveling in the Maldives, Li and his young daughter survived the 2004 Indian Ocean Earthquake that claimed the lives of 230,000 people. Is waiting for just the right role in a Jane Austen adaptation to come along.